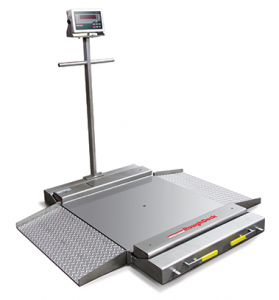 The FCQH floor scale was designed to perform in some of the most demanding industries including food processing. It features hermetically sealed stainless steel Weigh Bar weight sensors (sealed to IP68) which are very durable yet highly accurate. 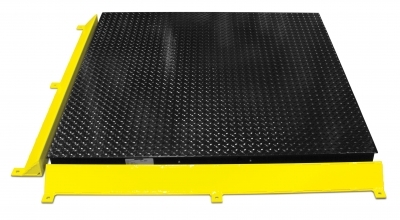 The platform scale also provides surface protection against foreign matter including bacteria, food, and other kinds of debris. The scale has a semi-open access hinge top design which provides easy access for a complete washdown. 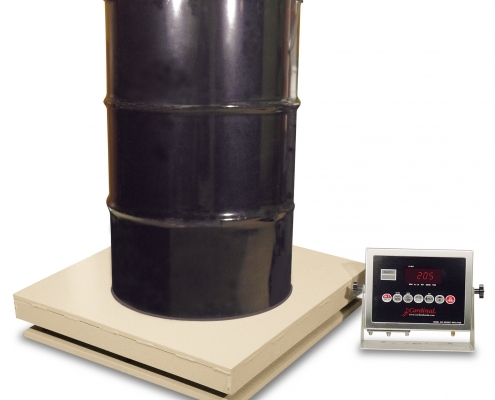 Cardinal Scale’s Mini Hugger heavy-duty floor scale is perfect for industrial weighing applications and provides accurate and reliable drum or barrel weighing. The model MH-524 features a single point load cell, 24 x 24-inch mild steel platform with tan baked-on powder paint, 1/2-inch-thick deck plate, and the scale is rugged enough for daily use in the busiest of warehouses. 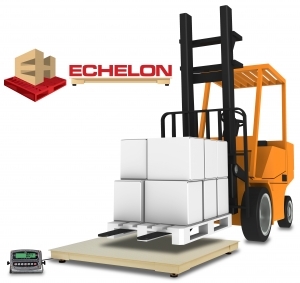 The heavy, solid base (209 lb) provides a solid support structure for loading barrels and heavy containers on top while weighing. 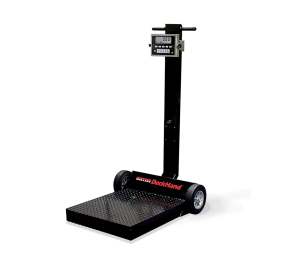 Four adjustable-height feet and a 10-ft-long load cell cable paired with any of Cardinal Scale’s 200 series digital indicators creates a weighing system that accomplishes any industrial job accurately and reliably. 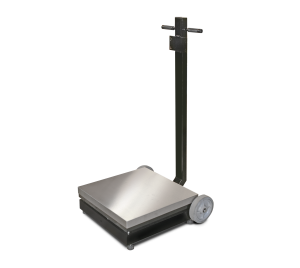 The BenchMarkTM HDP portable platform scale, with capacities up to 500lbs, is the ideal option for lighter industrial and commercial applications. Choose between casters or large rear-mounted wheels. The 304 stainless steel cover is as durable as it is sleek. The handy DeckHandTM weighs and rolls anywhere. Move the DeckHand to any part of a facility and be instantly ready to weigh accurately. The platform is designed to weigh perfectly on all corners. Off-center product loading will not affect weighing accuracy. 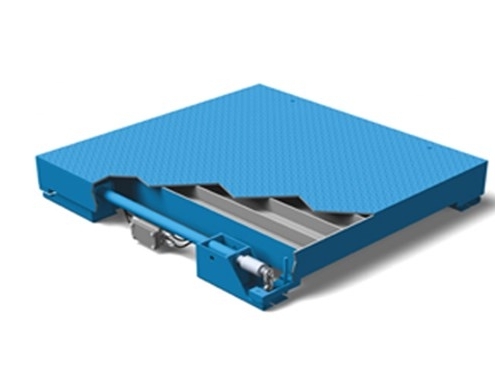 DeckHand wheels only touch the floor when the unit is tilted back for movement allowing the weighing platform to remain stable on uneven floors. Partner this scale with one of Rice Lake’s battery-operated indicators. Install the IQ plus® 390-DC or IQ plus® 590-DC for a clear view of the weight no matter where the scale is located. What can’t be seen can lead to devastating consequences—both for production facilities and consumers. 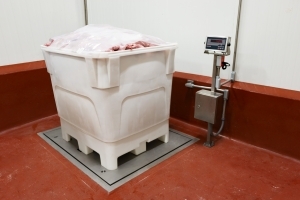 For ultimate microbial resistance in sanitary environments, Rice Lake’s RoughDeck® QC-X washdown floor scale is designed to meet the American Meat Institute’s (AMI) Sanitary Design Principles (SDP) to safeguard against microscopic pathogens and contaminants in food processing, pharmaceutical and chemical applications. With food safety measures becoming more stringent, a food-borne illness outbreak is oftentimes sourced back to in-plant contamination. 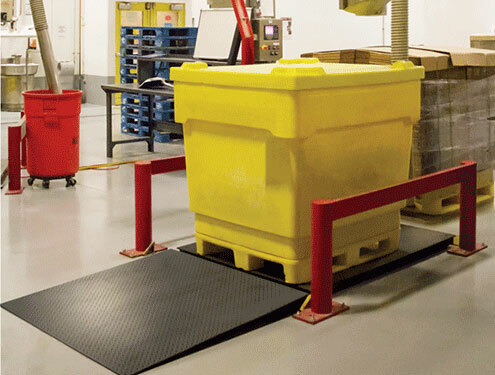 The RoughDeck QC-X is the ideal complement to strict hygiene control and clean in place programs as part of a multi-barrier protection system to prevent contamination and the potential for recalls. 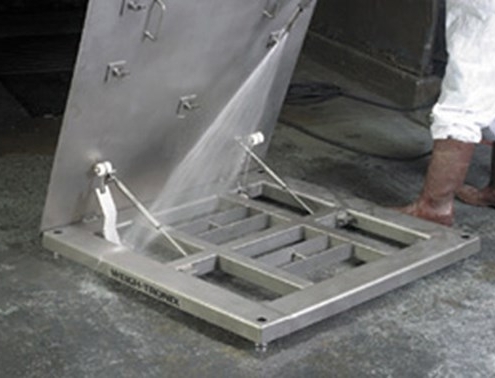 When it comes to food processing equipment, what lies beneath the immediate food contact surface not only needs to be cleaned—it needs to be completely removed. The RoughDeck QC-X base is composed of solid, stainless steel, vertical plates—providing superior protection against liquid, product and micro-bacterial collection. 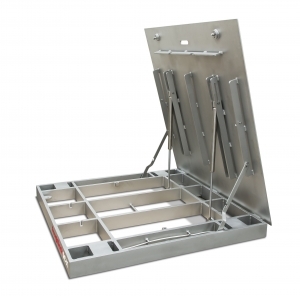 This unique design also includes continuous welds and tool-less top plate locks, ensuring that during the washdown process, no contaminants are left behind. The rugged design incorporates 304 stainless steel construction and four IP69K load cells with PTFE cable for steam cleaning and washdown environments. 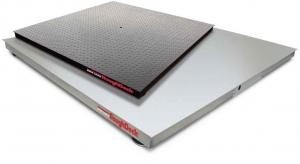 To protect your RoughDeck® floor scale from unwanted and potentially damaging contact, install the RoughDeck bumper guards on any or all sides. The RoughDeck HP and HP-H versions are painted safety yellow for optimal visibility, further protecting your RoughDeck floor scale. Pack all the strength and substance of a SURVIVOR® truck scale into one tight little package and what do you get? The RoughDeck CS. 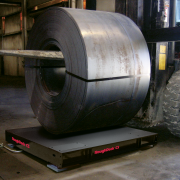 Made by Rice Lake for the challenge of weighing massive steel coils and other dense material, the RoughDeck CS is tougher than a truck scale and can weigh with Legal for Trade accuracy. Steel handling is the ultimate test for industrial equipment. The RoughDeck CS’s tightly spaced steel I-beams, half inch thick top plate, and patented G-force self-checking mounting system make it the most solidly constructed scale on the market. And when it comes to extreme conditions, the RoughDeck CS takes a punch and comes back for more, delivering accurate results, day after day. Rice Lake’s RoughDeck CS is Legal for Trade in capacities up to 100,000 pounds. Choose a standard platform size or let Rice Lake help design a RoughDeck CS to your specifications.